Every fat has a smoke point, be it butter, lard, or oil. If you’ve ever seen your pan smoke, typically after it loses that shimmery look, that is a sign that your fat has reached its smoke point. Once this has happened fat begins to lose its healthy properties and can start to take on an unpleasant flavor. Many oils these days will tell you right on the bottle what the smoke point is. The higher the smoke point, the more ways you can cook with the oil, and the higher temperatures you can cook at. Oils with lower smoke points are great for dressings, drizzling, or cooking at lower temperatures. For sautéing, use oil with a medium or lower smoke point, like extra virgin olive oil. When the oil in the pan begins to shimmer, add your food and cook away. For searing, choose something with a high smoke point like peanut or vegetable oil. Heat it until it is just starting to smoke, then add your meat. 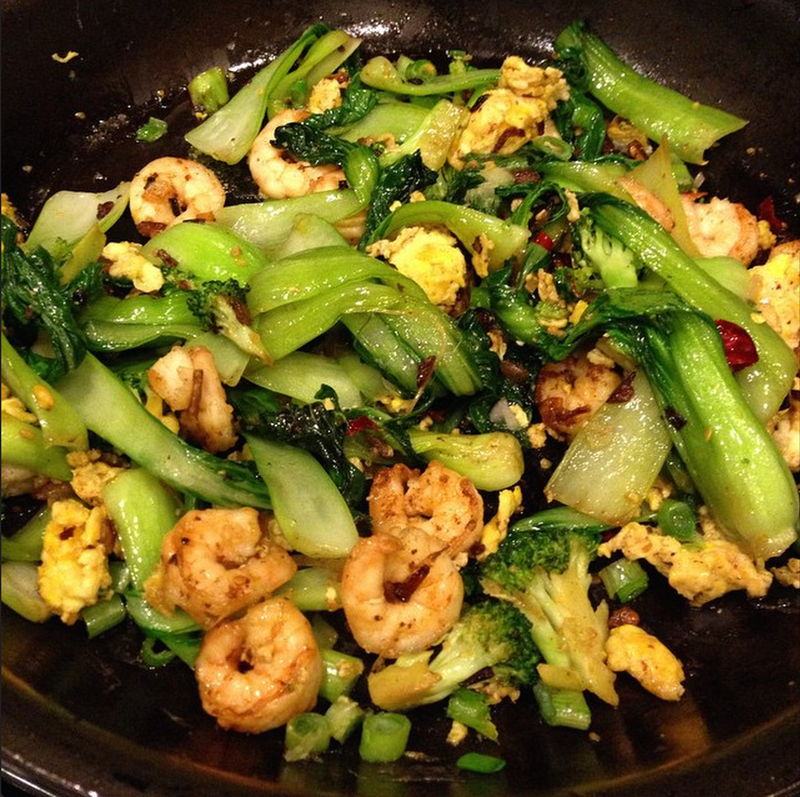 For stir-frying, choose an oil with a really high smoke point, like peanut or safflower oil. The idea it to get a thin layer of smoking-hot oil on the bottom of the wok before adding your ingredients. Scoop out some coconut oil, about a teaspoon, and swish it around in your mouth for at least 15-20 minutes. If you don’t have coconut oil you can also use other plant-based oils like sesame oil, sunflower oil, or olive oil. Oil pulling is great for oral hygiene. It may take a couple times to get used to it, but I’d definitely say after the first 10 minutes it’s no big deal. The first time I tried it I probably took too much coconut oil, so the taste and texture were overwhelming and I had to spit it out. The trick is to distract yourself while you’re doing it, like have a tv show ready, or power through 20 minutes of work. It takes your mind off the time. Oil pulling began in India and has been used for centuries as a natural way to whiten teeth and clean teeth and gums. The oil cuts through plaque and removes toxins and bacteria, but it does take at least 15-20 minutes to be effective. You’ll notice while you’re doing it that your mouth becomes filled mostly with saliva after awhile, and by the time you spit it out it should be a creamy, white color. When you’re finished, spit into the trash can, not the sink, and rinse your mouth out with warm water. Try not to swallow the coconut oil, since it’ll should be filled with your bacteria. There are various oral health benefits from oil pulling, like smoother, whiter teeth and better breath, but some people report feeling overall improvements in their health. Whenever I oil pull, I do feel like my teeth and smoother and shinier. Try it for yourselves!